“This is Berlin”, also known as the mantra for our recent trip to this free-spirited city. We knew that Berlin would be unique to any place that we’ve travelled in the past, but what we didn’t expect was for it to get under our skin the way that it did. Before travelling to Berlin, we had done a bit of research on the various neighbourhoods in the city and decided that the “coolest” area sounded like Friedrichshain-Kreuzberg, which used to be two districts, but were merged in 2001. These two boroughs were divided by the Berlin Wall during the Cold War. The Oberbaum bridge, which crosses the Spree River, acted as a border between Friedrichshain and Kreuzberg. These days, however, the two neighbourhoods are known for being where the artsy and free-spirited people choose to live, work and play. Since we wanted to be as “Berlin” as possible during our trip, we figured that staying in one of the two “cool” neighbourhoods would make us that much more hip 😉 There are numerous places to stay in Berlin and figuring out which borough to base yourself in really depends on your style. To get a better understanding of the different districts in the city, check out this guide to Berlin’s neighbourhoods. From the airport, we navigated the public bus system and the metro line, and finally made it to our hostel in Friedrichshain, which was just steps from the East Side Gallery (Berlin Wall). 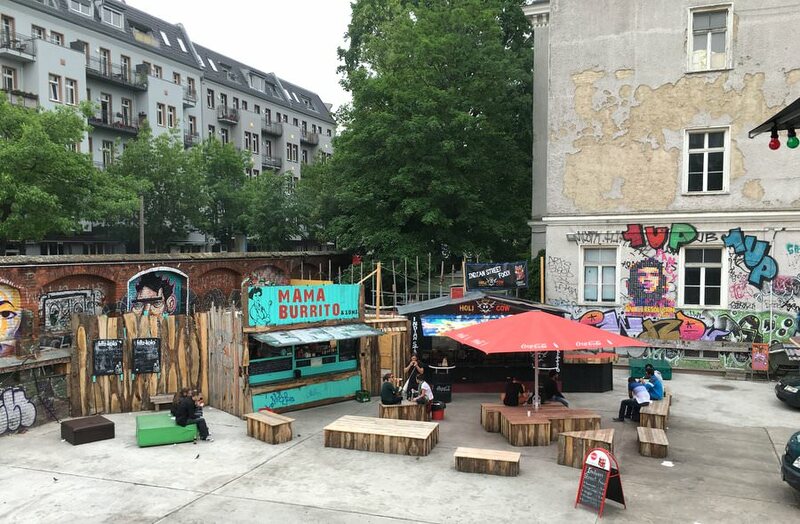 In the area of Friedrichshain-Kreuzberg, people from all walks of life coexist, but mainly we came across artists, performers, hippies, immigrants, drug dealers, young people, and anyone with a creative bone in their body. There are many influences from numerous nationalities in this part of Berlin as well, but one of the most predominant is Turkish…which was great when we were on the hunt for a late night shawarma! 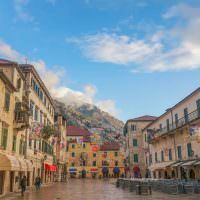 Buildings painted with street art and graffiti outnumbered the blank walls, and squatters hung out on the streets with their dogs, while listening to music from “ghetto blasters” – this brought us right back to the 90’s! People danced, smoked, drank, painted, played music, rode bikes, and basically just enjoyed life. All of which was considered “normal”, and no one batted an eye or seemed to judge one another. During our week-long stay, we didn’t see one policeman in the city, nor did we see a single fight or argument. This was probably our favourite aspect of what we experienced in Berlin. People did what they wanted to do, without being punished for anything (at least, it seemed that way). Never have we travelled to a city with such an edgy, anything goes, bohemian vibe to it. 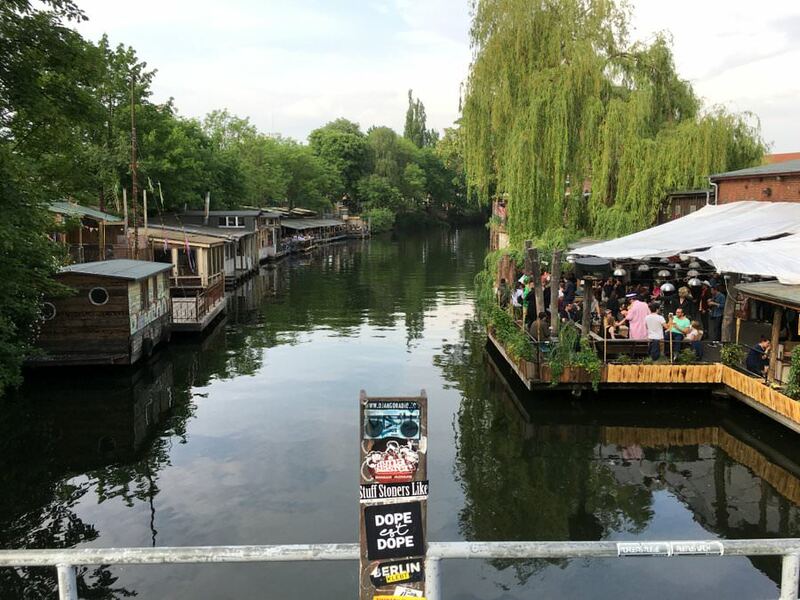 Fabulous riverside bars in Kreuzberg – some fun afternoons here! Cycling is a very popular thing to do, as is relaxing in one of the many parks, and drinking beer outside of shops. There are bicycle lanes, numerous green spaces and chilled-out bars, which only added to the city’s trendy feel. Our afternoons were sometimes spent wandering through Gorlitzer Park, which is a known hangout for drug dealers and junkies, yet there are playgrounds, a petting zoo and families everywhere! Coexisting at its finest. 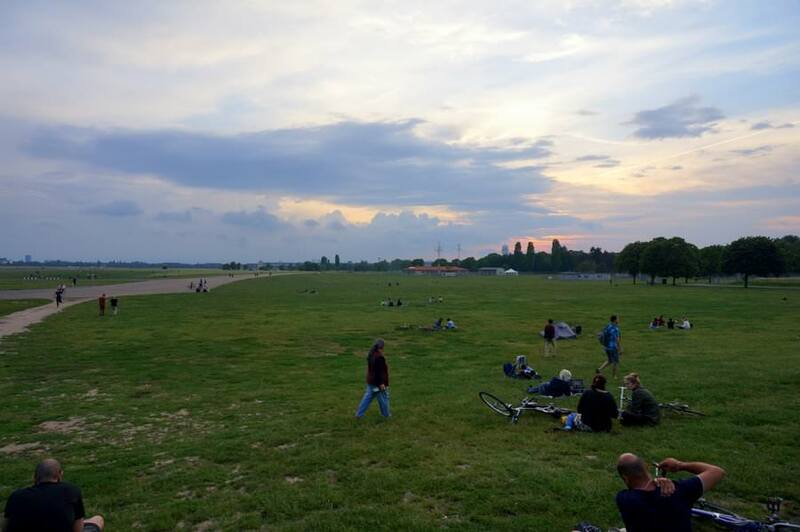 We loved laying on the grass in Tempelhof Park (which is an abandoned airstrip), while enjoying the sunset with other Berliners. We brought wine and relaxed amongst families, couples, singles and dogs. People did yoga, went running, rode their bikes, played music, read books, smoked weed, and even did a little slack-lining! 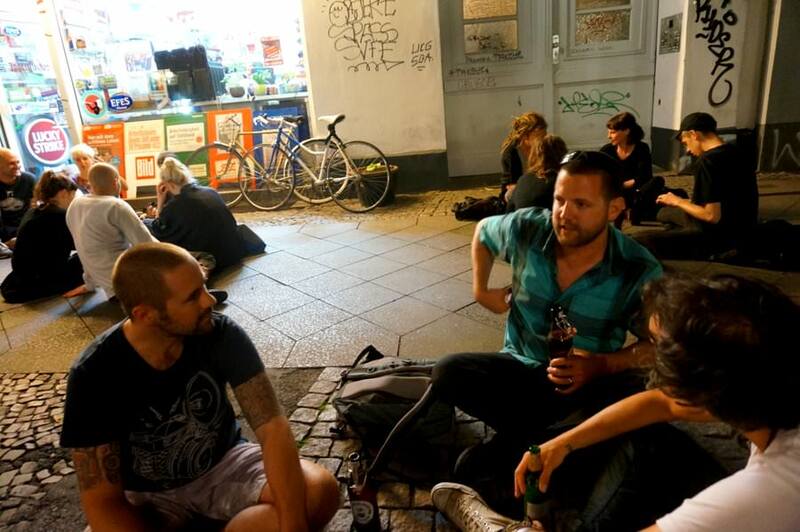 We were sooo “Berlin” this night while sitting on the ground and drinking beers outside of a shop! Not all neighbourhoods in Berlin had the same appeal as Friedrichshain-Kreuzberg. Each district seemed to have a different crowd, and as soon as we crossed the invisible border into a different area, the people, sites, restaurants and overall atmosphere completely changed. The Mitte (middle) borough, is located in the center of Berlin and is comprised of a portion of both the former East and West districts of Berlin. 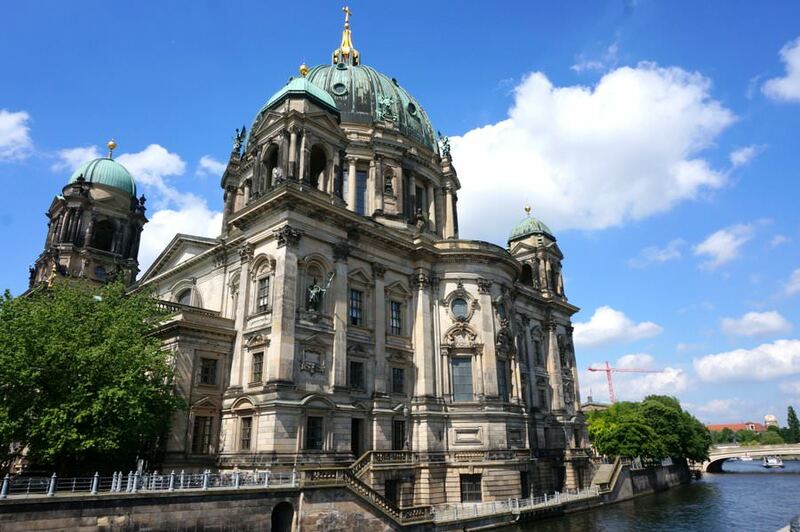 Even though this is the historical center, and there are numerous important sites to see (such as the Museum Island, Holocaust Museum, Brandenberg Gate and Checkpoint Charlie, to name a few), we couldn’t help but feel completely underwhelmed. The sites were great and a must-see for anyone visiting Berlin, but it felt like we had entered an entirely different city, and while it was nice enough, it was much more modern and “clean” than Friedrichshain or Kreuzberg. Where were all of the fantastic, authentic restaurants serving cuisine from all over the world? 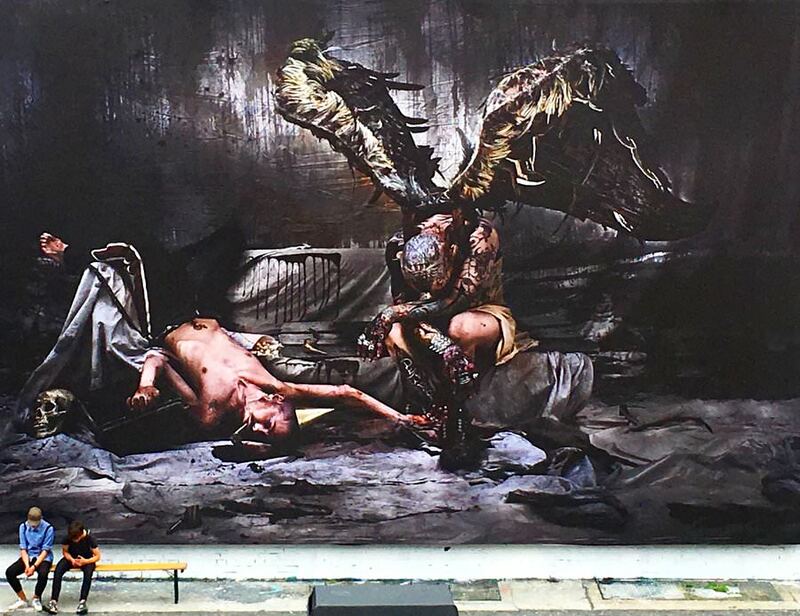 Where was the vibrant and politically charged street art? 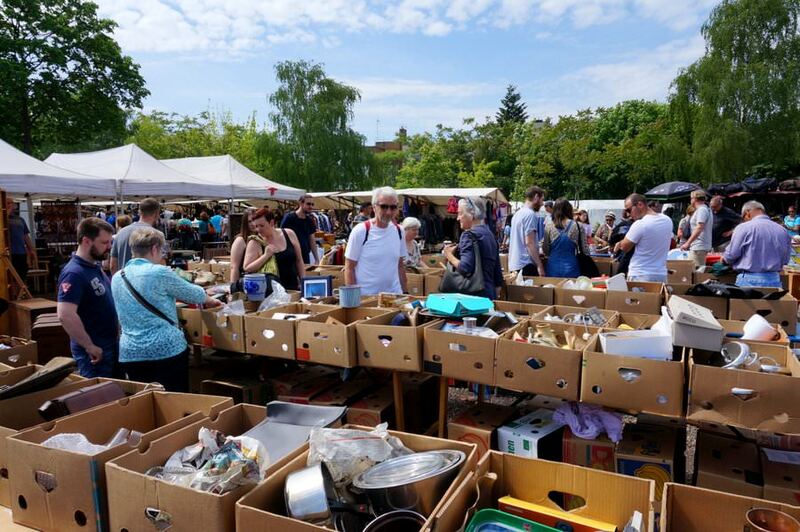 What happened to all of the outdoor markets and parks? On top of those differences, it seemed as though all of the prices in Mitte were much higher than the other areas that we were in. For us, this part of Berlin felt way too over-restored, posh, and incredibly gentrified. 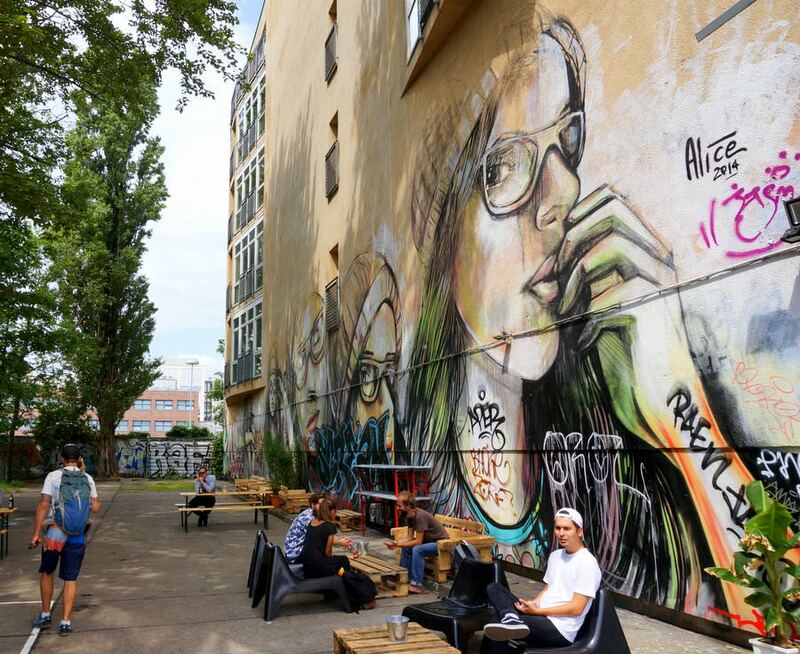 Friedrichshain-Kreuzberg and Mitte are complete opposites of one another, and if you’re looking for a middle ground between the edgy and modern feel, you just might find it in Prenzlaur Berg. In the 1960’s, this area used to be more like a squatter’s paradise, as well as home to a large gay community, and many bohemians. 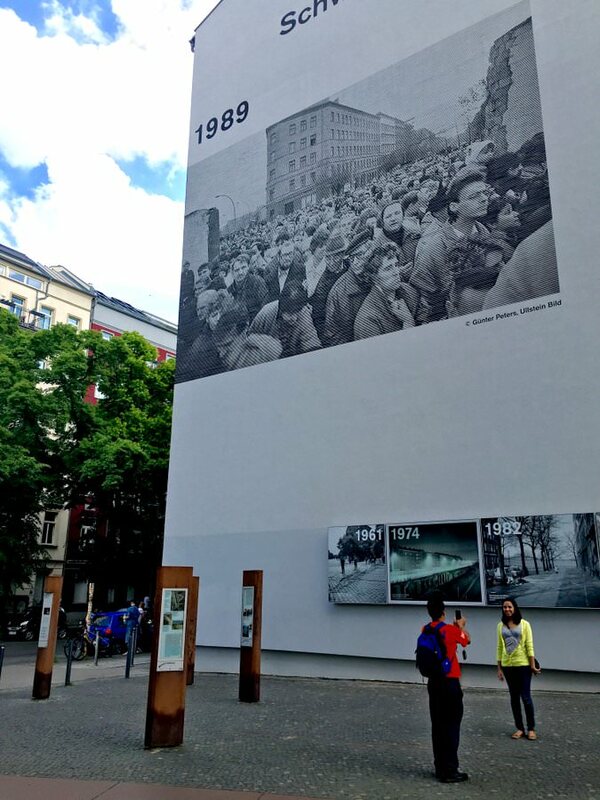 It was also the location of the peaceful revolution, which ultimately led to the fall of the Berlin Wall. These days, however, it’s undergone an overhaul and has become a sought after area to live and work in. Although it is much more modernized than where our hostel was located, there were aspects of Prenzlaur Berg that we very much enjoyed. 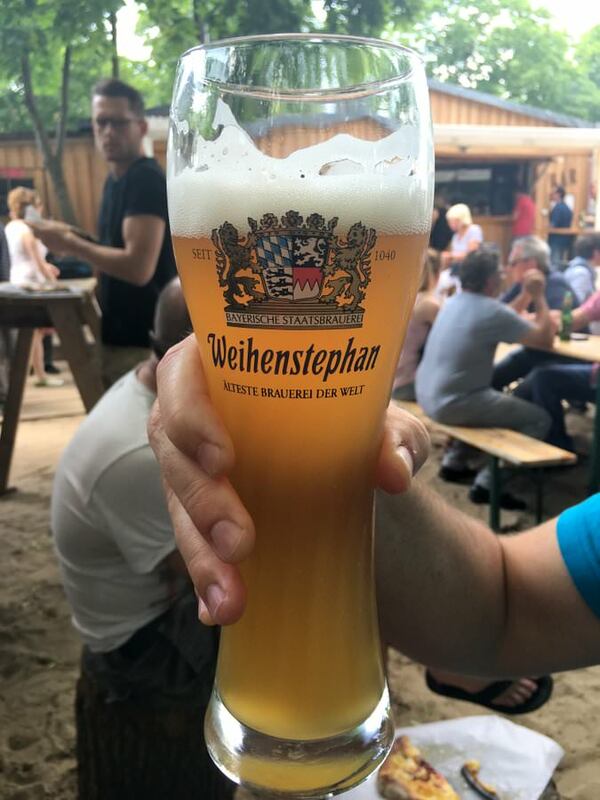 We checked out the massive Sunday flea market, complete with beer gardens – which is where we discovered that we love wheat beer (Hefeweizen). 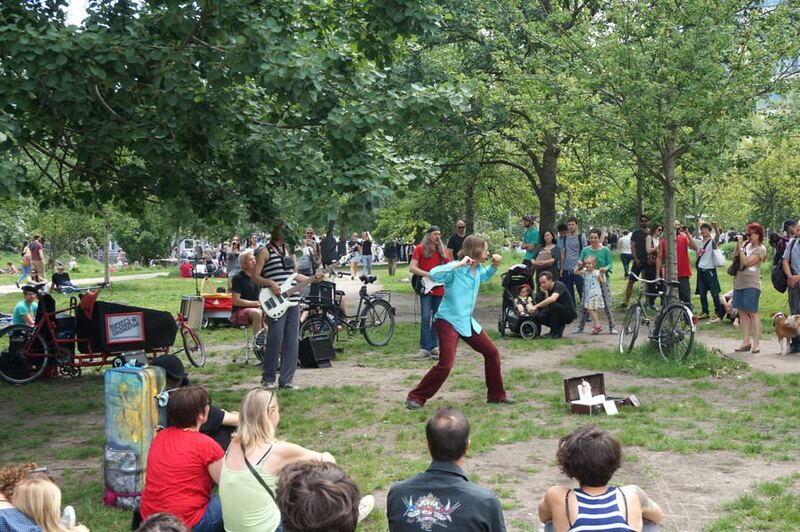 We watched independent singers and performers in Mauer Park, and cycled through the leafy streets, while stopping off to sample some Asian, Israeli and raw foods. There are many green spaces, boutique shops and a big cafe scene. 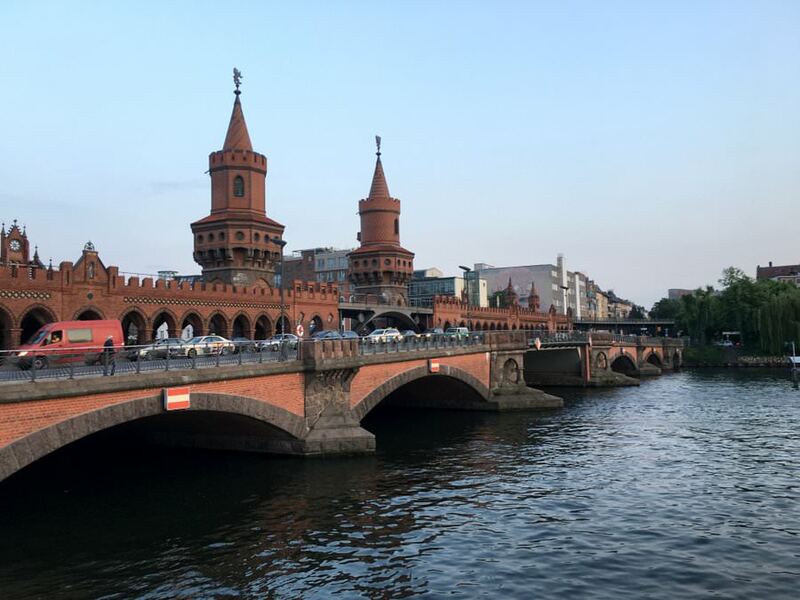 You’ll also find historical landmarks (including a small piece of the Berlin Wall), pre-war architecture and a wide variety of cuisines. One week is hardly enough time to even scratch the surface of what Berlin has to offer. But from what we saw during our trip, we were very impressed. This city truly has something for everyone, and an ambience which is unmatched by anywhere else. 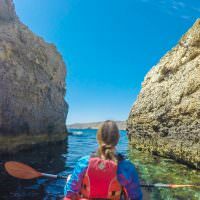 We can’t wait to return to explore some more. Check out our videos from our week spent in Berlin! Wowser, I found my self nodding the whole way through the article. 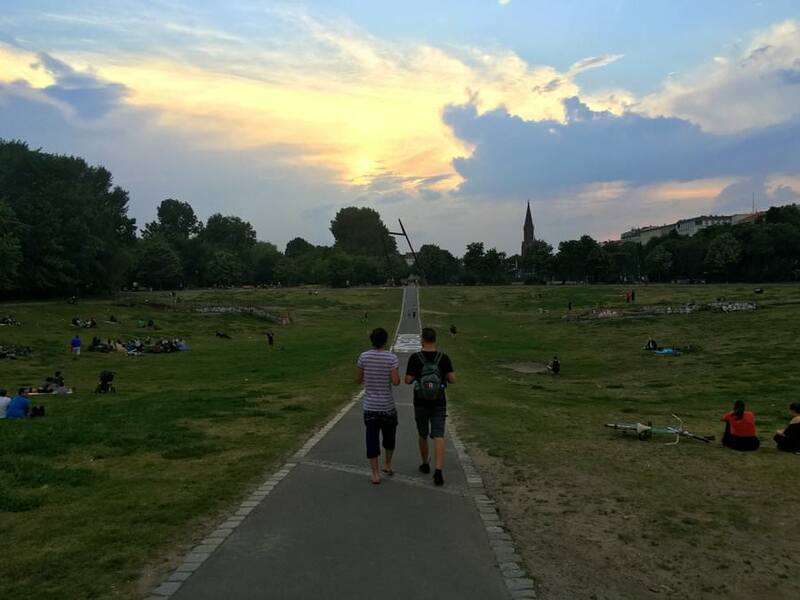 I stayed for about a week near Tempelhof Park. So fun just hanging out there in the evenings! And the community garden there is crazy. Thanks and happy blogging Devesh!